My first serious exposure to street writing was back in 1970 when I was a student at the Pennsylvania Academy of the Fine Arts in Philadelphia. Walking around town, I noticed tags appearing in the strangest places. “Cool Earl” spray-painted on a boarded-up window on the fourth-floor of an abandoned tenement. “Chewy” emblazoned across a highway overpass. “Dr. Cool # 1” high atop a pillared marble frieze on a temple-like bank on Broad Street. There was a purity to early Philadelphia graffiti. Mostly plain black spray-paint or marker, occasionally a little dark blue or crimson or silver. The clean, concise approach was completely at odds with the hallucinogenic Wildstyle graffiti that soon after erupted in New York City’s subways. The most prolific Philly street writer was Darryl McCray, aka “Cornbread, King of the Walls”. 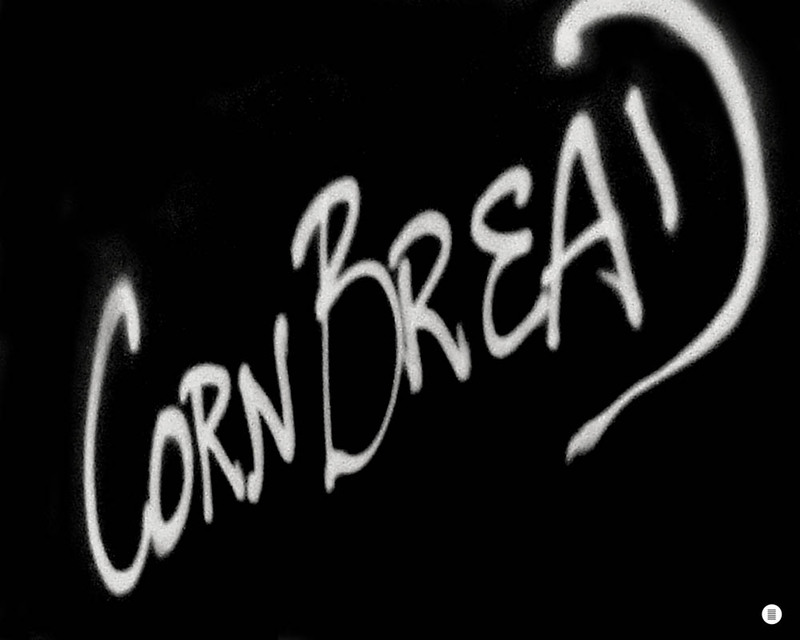 Cornbread’s tags, often accompanied by a three-pointed crown later appropriated by Jean-Michel Basquiat, established a direct connection to his audience, which at the height of his productivity was every single person in the city. I met Cornbread in 1971. We were both the same age, around eighteen or nineteen. He’d recently retired from street writing. I ran into Cornbread again forty years later, in 2011, at the LA Museum of Contemporary Art’s Art in the Streets exhibition opening, where he had a wall in the museum and I showed my film Graffiti Fever, about a group of East Los Angeles street writers who were contemporaries of the Philly taggers (you can link to the film here). Neither of us had the slightest clue four decades earlier that Philadelphia would turn out to be ground zero for the street art tsunami that was about to engulf the entire planet.